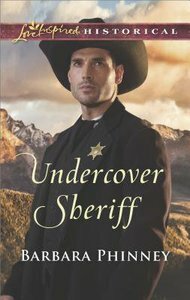 Former lawman Zane Robinson never thought he'd wear a badge again--but to locate his missing twin brother, Zane's taking on his identity as sheriff of Proud Bend, Colorado. There he discovers heiress Rachel Smith conducting her own search for a mother and child who've also disappeared from the small town. The cases could be connected, so Zane reluctantly agrees to team up with the feisty beauty. Rachel can't afford to be seen getting too close to Zane--it could impact her ministry for misguided young women. But as the investigation continues, she's hopelessly drawn to the gruff yet honorable lawman. Though trust doesn't come easily to Rachel or Zane, in searching for the missing will they risk losing their hearts? About "Undercover Sheriff (Love Inspired Series Historical)"
Lady Helena Stanhope's reputation is in tatters ... and she's lost any hope for a "respectable" marriage. An arranged union is the only solution. But once Helena weds formidable Scottish widower John Gordon, Lord Ardoch, and encounters his four mischievous children, she's determined to help her new, ever-surprising family. Even if she's sure love is too much to ask for. All John needs is someone to mother his admittedly unruly brood. He never imagined that beautiful Lady Helena would be a woman of irresistible spirit, caring and warmth. Or that facing down their pasts would give them so much in common. Now, as danger threatens, John will do whatever it takes to convince Helena their future together - and his love - are for always.